Should you remortgage in 2019? Cutting your bills by thousands of pounds seems like a pretty smart new year’s resolution – and switching to a cheaper mortgage deal could enable you to do just that. Data from UK Finance shows that remortgaging has surged to the highest levels seen in nearly a decade, as homeowners take advantage of low mortgage rates in a time of economic uncertainty. Here, we explain how much you could save by remortgaging this year, and offer advice on finding the best deal for your circumstances. If you’re thinking of remortgaging, you can get impartial, expert advice on the best deal for you by calling Which? Mortgage Advisers on 0800 197 8461. 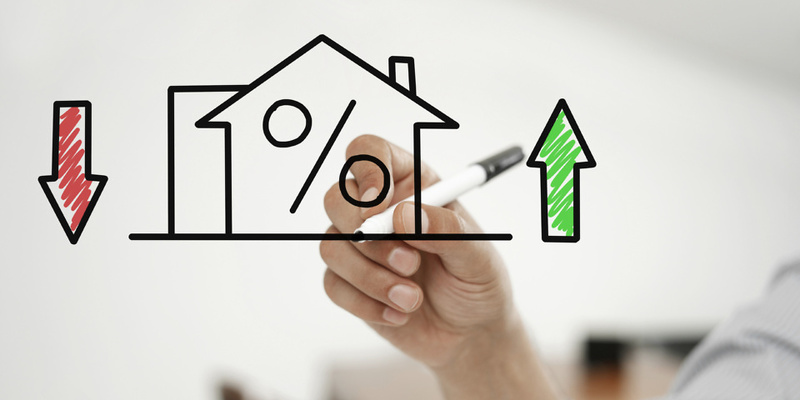 The latest statistics from UK Finance show that 50,500 homeowners remortgaged in October, up by 23% year-on-year. In total, homeowners remortgaged loans worth £9.2bn, the highest figure recorded since November 2008, over a decade ago. So why are so many people remortgaging now? UK Finance says that many loans are coming to the end of their fixed terms at the moment, and this, combined with uncertainty over Brexit and the potential of further base rate rises, has resulted in a rush to secure cheap mortgage rates while they last. The chart below shows how the number of people remortgaging, and the overall value of loans remortgaged, has changed over the past 12 months. Remortgaging can improve your finances significantly, and there are a range of reasons why you might want to switch deal. You’re coming to the end of your current deal: if the introductory period on your fixed-rate mortgage is close to expiry, it makes sense to remortgage before you’re transferred on to your lender’s standard variable rate (SVR), which could cost you thousands more in the long run. You own more equity in your property: as you repay your mortgage, you’ll build up equity in your home. This means that you might be able to remortgage at a lower loan-to-value (LTV) ratio than your original loan, unlocking cheaper deals. You’re looking for a different type of deal: the best mortgage for you depends on your personal circumstances, which can change over time. For example, perhaps you want to move to a longer-term fix for rate security, or maybe you’ve come in to some money and want a mortgage where you can make overpayments. You want to borrow more: remortgaging can allow you to release some of the cash you’ve built up in your property, perhaps to fund home improvements or gift to a family member. You should always take professional financial advice and do your research before increasing your debt. Beating base rate hikes: the Bank of England could continue to increase its base rate over the next couple of years. If you’re on a variable-rate mortgage – such as a discount or tracker – this would mean your payments would increase significantly. Which? Mortgage Advisers’ remortgaging calculator shows what interest rate would need to be on offer to make it worth your while switching. While these are all valid reasons for remortgaging, the most common is to avoid being passed on to your lender’s SVR. Data from Moneyfacts released earlier this month shows the average SVR now stands at 4.9%, a figure that’s increased significantly this year due to a rise in the Bank of England base rate – and higher SVRs mean higher bills. Exclusive research by Which? in October found that homeowners on SVRs could be paying as much as £4,000 a year more than they would if they switched to the cheapest available equivalent deal. Our study found that a homeowner with an average-priced property could face bills of £347 more every month simply by failing to remortgage before being switched on to their lender’s SVR. The tables below show the cheapest remortgage deals currently available (by initial rate) at four different LTV levels. As you can see, rates at 65% and 75% LTV are currently very low, though the chart-topping deals do tend to come with product fees in excess of £1,000, meaning you’ll pay more up front in exchange for a cheaper monthly rate. Links take you to further deal details on Which? Money Compare. Data from Moneyfacts, accessed 18 December 2018. Fixed-rate capital repayment deals only. Deals sorted by lowest initial rate. When more than one product has the same rate, the deal with the lowest fees has been chosen. Remortgaging: how long should I fix for? In 2018, homeowners begun fixing their mortgages for longer, with five-year deals growing in popularity and dropping in cost when compared to two-year fixes. In some cases, homeowners have been looking at even longer terms in order to make the most of low rates, with 10-year fixes now seen as an increasingly viable option. The chart below shows the cheapest rates currently available on two-year, five-year and 10-year fixed-rate repayment remortgages. As you can see, 10-year fixed-rate deals are attractively priced at 65%, 75% and 80% LTV, though a lack of products at 90% LTV mean they’re significantly more expensive than two or five-year deals. There are also an increasing number of seven-year mortgages entering the market – find out more in should you consider a seven-year mortgage? While longer-term fixes might sound like an attractive proposition, they usually come with early repayment charges (ERCs). This means that if you decide to switch deals or pay off your loan early due to selling up and moving house, you might need to pay thousands of pounds in fees. It’s not uncommon for fixes of five years or longer to charge as much as 5% in ERCs in the first year, with that figure dropping by 1% each year thereafter. This means that you should only consider locking yourself into a longer-term fix if you’re sure you won’t be moving house during the fixed-term period, or if you can find a portable mortgage without any ERCs. When should you apply to remortgage? You don’t have to wait until the end of your fixed period to apply for a new mortgage, so do your research in advance. Many lenders allow you to lock in a new deal six months ahead of time, but it can take a number of weeks to go through the remortgaging process, so the earlier you get started, the better. Before comparing the market, consider speaking to your current lender and informing them you’re looking to switch at the end of your deal period. While there’s no guarantee they’ll beat the competition, they may offer you a better rate to convince you to stay. It can be mind-boggling trying to compare the thousands of deals on the remortgaging market. For an expert recommendation on the best deal for you, it’s well worth taking advice from a whole-of-market mortgage broker such as Which? Mortgage Advisers. You can call the friendly team for a free, no-obligation consultation on 0800 197 8461 or fill in the form below for a callback.